Do you know that employee theft is even more common than customer theft? In fact, 95 percent of employees were reported stealing from employers, according to a research study about internal theft. It’s absolutely frustrating to spend so much time on employee theft prevention. 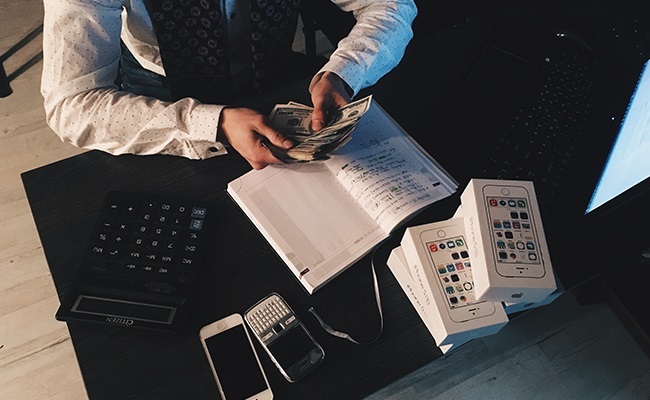 Although the stealing situations are oftentimes unpredictable, here are several practical ways to prevent employee theft of cash, time and data in your restaurant, retail store and warehouse. Internal theft prevention should be conducted throughout the employment process, from recruitment to personnel management, and from internal regulations to external surveillance. A camera can be used in all trades, especially some easily affected places, such as the restaurant, street bar, liquor store, convenience store, corner store and grocery store. According to the 2007 Electronic Monitoring & Surveillance Survey, 48 percent of employers have already used video monitoring in the workplace to prevent workplace theft and fount it rather effective. The web cam gives you the opportunity to show employees that you are watching. 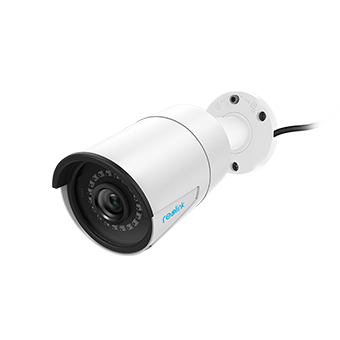 In fact, the appearance of security camera is already a very big deterrent to most. Just the thought that they’re being videotaped will help discreetly remind the employees of from time-to-time. More importantly, with a camera, you are able to monitor what is going on when you are not around and record everything to a SD card or hard drive. Perhaps, those who are going to steal will steal anyway, but at least you’ll know about it. The cameras could be placed at any place where possible theft could take place: the stock room, the warehouse, the register, and all the entrances. You can just set it and forget it. If you have a problem and you know the date and approximate time of the problem, you can easily find the corresponding video via the time axis, or the triggered event among separate video files with the date and time in the file name. Through remote control, you can monitor your employees far away during their working hours, and with decent night vision, the after work employee theft (usually happened late at night) could also be prevented. Camera tells the truth. 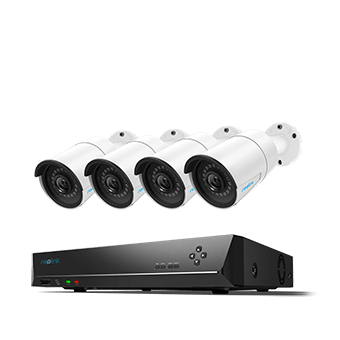 When connected with NVR, the security camera system could realize a 24/7 recording. The recorded video could be incontrovertible evidence if a prosecution is needed. Prior to other measures, the camera surveillance can notice the tricks pulled in liquor sales, fresh sandwiches and car washes that do not require tickets. And it is process oriented since every action of your employees will be recorded and thereby, time theft and data theft can also be noticed. Note: Security cameras for employee theft prevention are legal as long as you don’t place them in restrooms or locker rooms where people may have reasonable expectation of privacy. Besides external surveillance with cameras, here is something you can do with internal control to reduce workplace theft. In addition to having the video camera, random cash counts throughout the day would probably be best way to prevent employee cash register theft. If the employees know that at any time throughout the day you will come over and count the cash drawer, then there is a better chance of deterring any theft of cash. If you see nonrandom overs and unders, it can be a clue, and then the video tapes can be looked at. Another is to track sales/hour by employee in the same time slots, and the unreasonably small figure could be an indicator of employee theft. 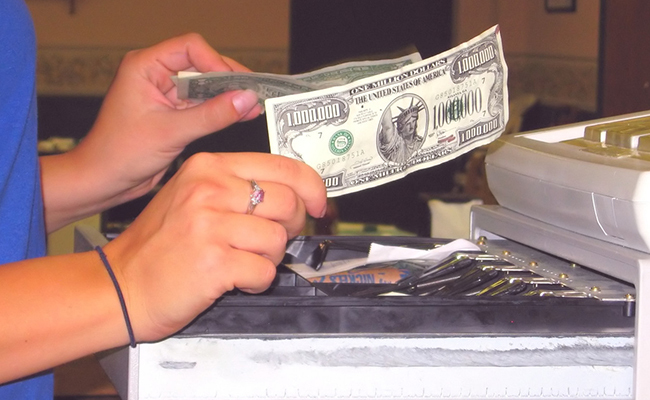 A POS system is also very helpful for retail stores in internal controls to prevent employee theft. You can set it up so the cash drawer only opens when you ring up a sale and will track everything. When you ring something up and the sale price is going to be in the computer, and that will tell you how much money should be in the drawer at the end of the night. If you use the POS, there is no way for employees to pocket the money because the system knows how many items are actually sold. A pre-employment check is essential to distinguish the dishonest and prevent employee theft from the very beginning. Criminal history search is a major part of pre-employment check. The U.S. Chamber of Commerce estimates that 75 percent of all employees steal at least once, and that half of these steal repeatedly. If an employee has a criminal record, you should think twice before hiring him/her. It’s also wise to check their hobbies before making hiring decisions. A common motive for employee theft is to get quick money to support their drugs or alcohol abusing. The overwhelming financial problems could drive them into stealing regardless of the consequences. A reference check is also important when it comes to prevent employ theft in non-profits. The reference shows their career path and whether they suite the position. Internal control is the first barrier to the internal theft. Strict rules show your zero tolerance to internal theft. Know some employee theft prevention policy will do you good, such as prosecution process. At Walmart, if an employee is caught stealing, he/she will surely be prosecuted. The unfortunate employee ends up with leaving the building with their hands behind their back in a pair of handcuffs. If you are running a small business, a prosecution is not a wise choice, because your costs in time and effort can outweigh any likely benefits. But establish written guidelines outlining procedures and practices for handling cash, inventory, equipment and supplies is important. Disciplinary action might include salary reduction or termination. For example, you may have your employees sign an agreement that if the register is short any amount whatsoever, it gets deducted directly from their paycheck. Punishment and awards combined could lead to more effective results. Similar to the punishment, the award standards should be detailed and be easily identified in daily work. For example, the employee could expect a 5% wage rise if there is no financial mistakes on his/her shift over the month. A reporting system is also advisable. If an employee reports his workmate’s stealing behavior, he/she will be rewarded for this. How to prevent employee theft in retail stores where products are oftentimes remains on easy access? An easy and effective measure to reduce employee theft is to arrange at least two staff for every shift. At the same time, make sure there is limit accountability for every position and no one could open the cash drawer without another employee’s presence. Also, you may have the cashier count their till before they start work and then count again after their shift, and report the result to you. This will discourage stealing because the employee feels responsible for keeping an accurate till. When the numbers don’t match up, and you’re sure you have enough evidence (track this for several shifts for each employee), then terminate the employee. According to the statistics released by 2016 National Retail Security Survey (NRSS), inventory shrink accounted for 1.38 percent of sales, or $45.2 billion, in 2015, and employee theft amounted to 35.8 percent of the total. So, what’s the most effective way to prevent employee theft in warehouse? Besides a warehouse security camera, make it a rule to check the inventory at a certain time of the month and carry out some random check also. For example, you may make a list of it and counting how much you have in front of them time to time. And make sure it known to your employees, so they will know that you are serious about keeping track of your turn over time and your stock. Cash is king in the payment with some businesses, such as the restaurants and convenient stores. Therefore, besides shoplifting, how to prevent employee from stealing cash is an important issue. Encouraging credit cards is a good way for employee theft prevention. Perhaps not anyone wants to encourage Credit Card use at 3% charge, but this day many people will use it, if it is an option. Also, use a cash register instead of a locked drawer can greatly reduce the stealing rate since every sale will be record and can be traced. In a research on the relationship between payment and crime rate, Professor Tatiana Sandino has found that “relative wages – that is, wages relative to those received by other employees performing similar jobs in the same sector and region – were negatively associated with employee theft”. Wage premiums could not only prevent internal theft but also foster ethical norms. Employees intend to work hard in order to retain the current well-paid jobs which will otherwise be taken by honest workers. If an employee feels underpaid for his job, he will not even be guilty for his stealing. He/she might even consider the pretty theft a way to revenge. All employees should be given a chance to express their true thoughts and feelings and regular communications will be helpful. With all of the ways to prevent employee theft, you may still think that employees could steal from you without me knowing. If that ever comes up into your mind, then buying CCTV cameras would be the best way to go. If you have other innovative ways to stop theft at work, you may share with us in the comment area. This entry was posted in Expert Safety Tips and tagged employee theft, internal theft, theft prevention, tips. Thanks for sharing this guide to help retailers prevent employee theft. Though the methods described in the article go a long way in preventing employee theft, retail surveillance service is one of the most effective ways available, as per my opinion. This lets owners or managers monitor stores 24*7, get real-time alerts for any suspicious activity observed, and hence prevent any employee theft proactively. Thus, live monitoring helps in employee theft, saving the retail industry from a huge loss. Along with this, surveillance service also allows managers to keep an eye on crime and business operations, to improve security , efficiency & hence, business results. Really good article on preventing staff theft. I work for a locker company and one of our biggest requests from retailers is for vision lockers. These lockers either have a clear panel or an entirely transparent door so that managers can see exactly what is inside the staff compartments. It works especially well in clothing retail where staff will take clothing to their locker then hide it under their jackets and walk it out of staff or service entrances!